2 Day Transportation is the new standard in LTL freight. We have brought together a strong team with extensive experience and expertise in the industry. Focusing on a superior direct service back and forth between New Jersey and New York, 2 Day can provide an unparalleled and consistent two to three day service time. We use teams of drivers to ensure a speedy delivery and compliance with the DOT. And since we do not stop along the way performing break bulk like most other carriers, your freight is handled very little reducing the chance for damages. 2 Day is focused on providing superior service. With us you are not just a number: you are our partner. 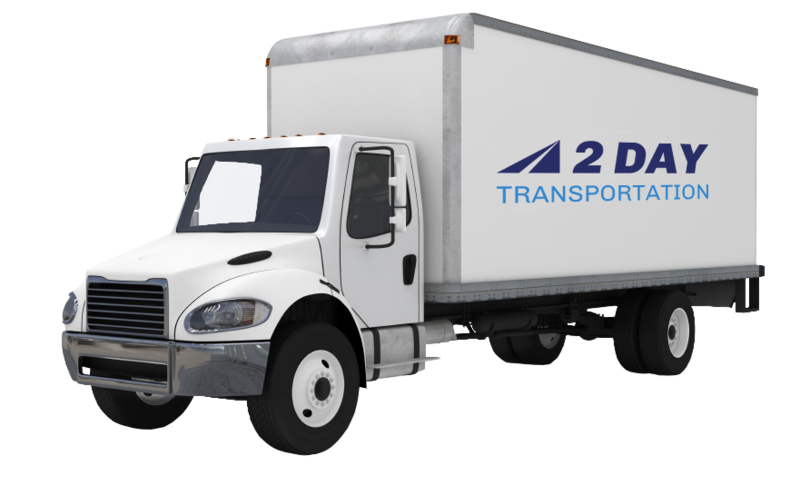 Give us a try and see why 2 Day Transportation is the new LTL carrier that everyone is talking about! "2 Day Transportation has been doing an amazing job with all my shipping needs out of the Northeast! Not only have they delivered the goods in a timely manner but they also do it at the best pricing. My rep and my driver both are awesome too and add a personal touch that most companies lack." Niche Marketing and Sales, Inc.
"It was an easy transition for me to start working with 2 Day Transportation. They have a core staff working there which made the transition easy. In fact, there was no stress at all involved in it. Both my prices and service have improved from what we were getting. The staff at 2 Day Transportation is accessible, helpful and knowledgeable and works in a modern, low-stress environment. I know this because I have also toured their new facility."